Barite powder with the fineness within the range of 200-325mesh is often used as a filler for drilling mud generated during the oil drilling process. The oil drilling industry consumes lots of barite. Having feasible machinery to pulverize and refine barite powders is incredibly important for the effectiveness of the technological process. Strommachina offers you a wide array of grinding mills controlled by ABB or SIMENS cabinets. Adding barite powder to the mud is a common way to counteract the pressure applied by underground gases and liquids. The pressure may lead to a large blowout if the mud is not dense enough to hold the pressure. During the drilling process, the mud often becomes too light and the only way to quickly and reliably increase its density is to add some barite powder. When processing barite, using ball mills and roller mills is highly recommended. These types of equipment will allow you to bring the fineness of the powder into the range of 200-325mesh. Ball mills, vertical roller mills and/or other types of aforementioned mills are perfect for any production line that deals with barite. If you work in the oil drilling industry, Strommachina’s assortment of heavy duty machinery will be more than just interesting to you! 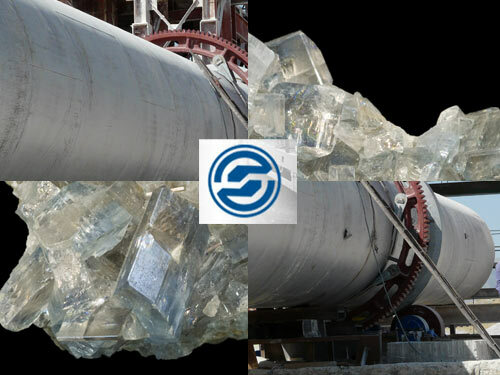 We offer you all kinds of equipment to process barite.